I have been hearing about raves on this latest Katsu place in Megamall so one afternoon after a work meeting, I decided to bring some colleagues there and try out this praise-worthy katsu everyone has been talking about. We got there after the lunch hour crowd because our meeting was a bit long but it was worth it because the place did not have a hurried atmosphere at that time and we got great customer service from their very attentive staff. 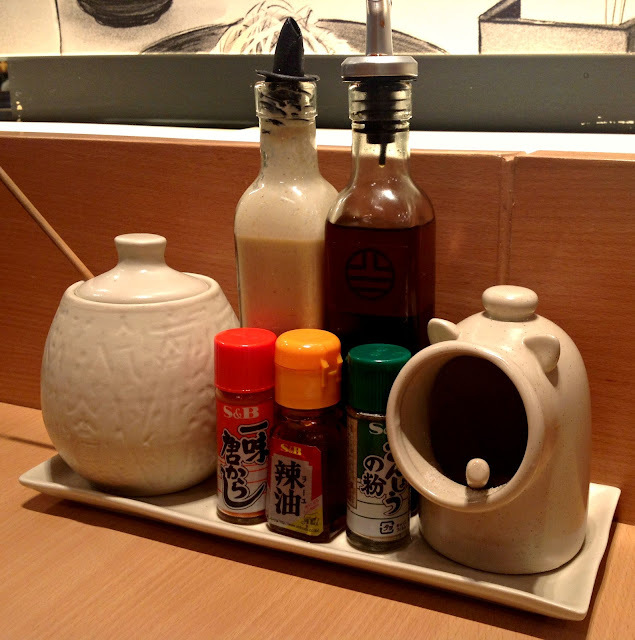 I give “KUDOS” to Yabu for their great wait staff. Those are plus points in my dining-out book. I like how their interiors pulled of a minimalistic look that was comfortable and cozy at the same time. 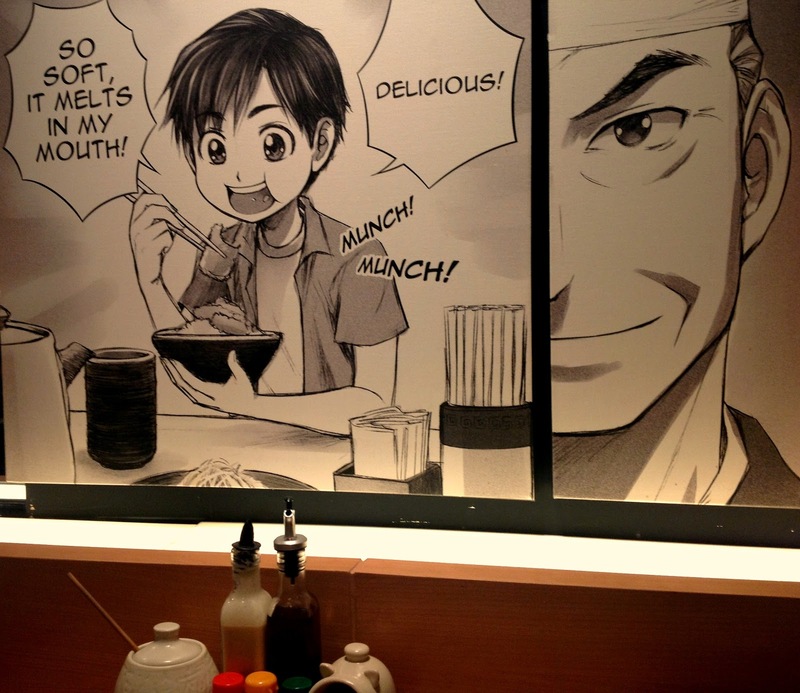 Their anime decorated walls made me smile and think that I was going to be enjoying my meal there with friend A and R. Be prepared to shell out a bit more though because they are not that cheap but for food that good, the price is really worth it. We were given menus and our waiter patiently answered all our questions and they all seemed very knowledgeable about their product which is another good point for Yabu. Their menu is another good point for them. 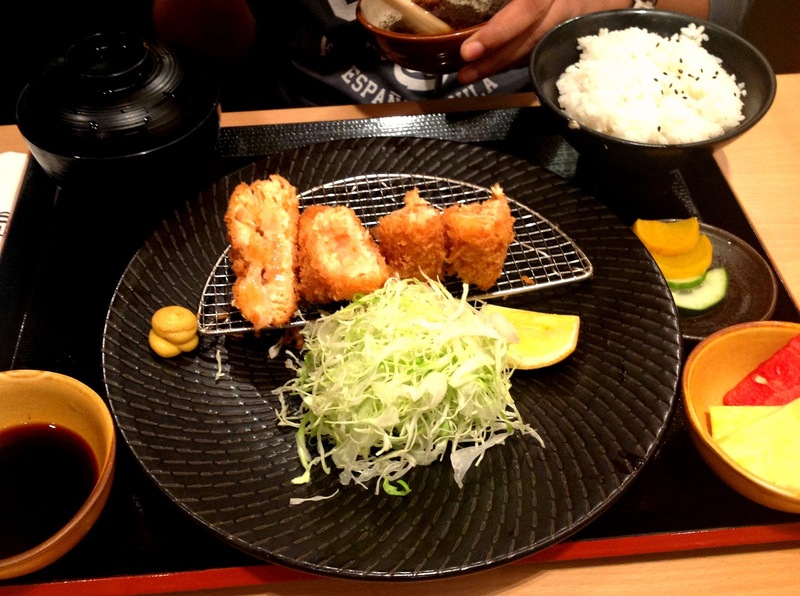 It is filled with information on how best to enjoy your katsu. So far so good! Friend R ordered their chicken katsu set (120g of chicken), friend A had the salmon katsu set (100g of salmon), and I had their rosu katsu set (90g pork loin). 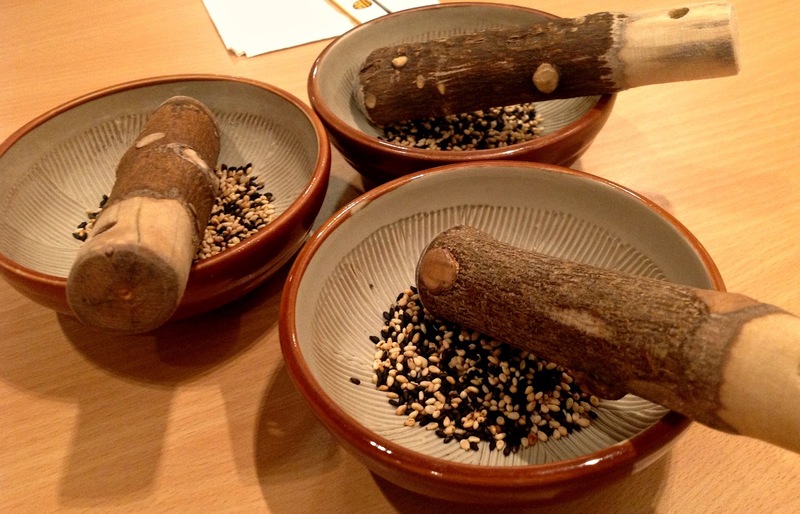 We shared our katsus so we could try the different variations that Yabu offered. We were not disappointed and we were quite happy with what we got. 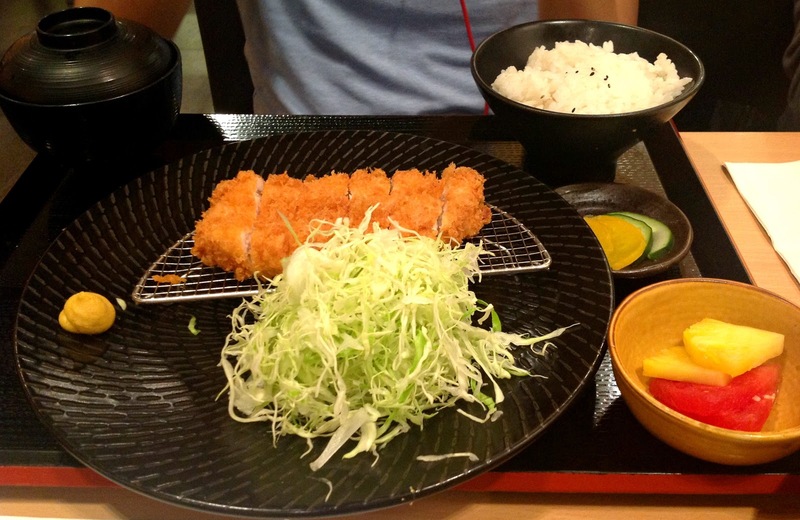 Since we ordered their katsu sets, we got fresh fruits, miso soup, rice, pickled radish & cucumber, and cabbage. What was so great was that the rice and cabbage were unlimited. They have sesame dressing and shoyu vinaigrette sauce for the cabbage and we all agreed that the sesame dressing on the cabbage was really good and in fact I had 3 refills of that yummy cabbage with the dressing. Before our orders were delivered, each of us were given our sauce bowls complete with white and bIack sesame seeds that you needed to grind up first then you add in 2 scoops of the tonkatsu sauce or more depending on your preference and this was an interesting twist to the whole dining experience. I tried my rosu katsu and I was so happy with it that I plan to eat there another time. The breading was just right in thickness and well seasoned. The crispy texture really made for a great contrast to the super tender and juicy pork loin meat inside. Eating it together with the cabbage dressed in sesame proved to be the perfect foil for the crispy fried taste of the pork. It cut through the fatty taste and proved to be a wonderful companion to my meal. I promise to try their delectable kurobuta pork next time although it is pricier but they say, it is one of the best kinds of pork ever. 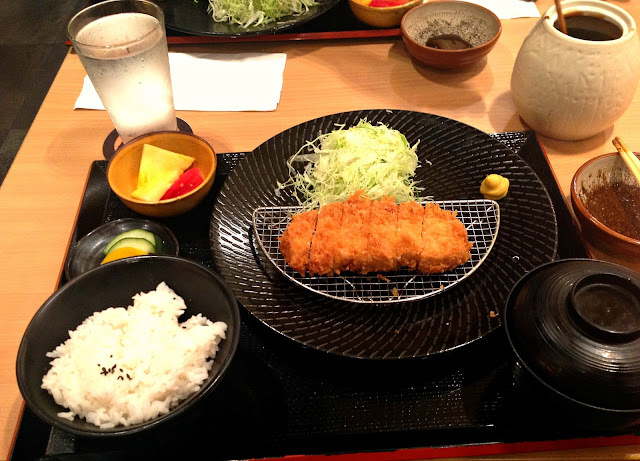 Next, I took a bite of friend R’s chicken katsu and again the texture of the breading went well together with the chicken meat although I have to say that there was nothing really extraordinary in this dish but it was well executed and cooked just right. Lastly, I took a bite of friend A’s salmon katsu and it was super great. It was literally a melt-in-the-mouth moment for that buttery salmon and the breading on the fish only added to the texture and made it a really good dish. The salmon was really so buttery and when eaten together with a dash of lemon was really good. I cannot describe enough the soft and velvety texture of the salmon. You have to eat it to understand it. This was a winner! Yabu, you are good. I look forward to my next experience and this time with the kurobuta pork set. P.S. Thanks to friend R for the iPad pictures for this entry. The pictures do not do justice to the visual and taste feast we had that afternoon. Good job Yabu! Average meal price is around Php300++.